"The best way to make farming attractive to young people is to make it profitable." 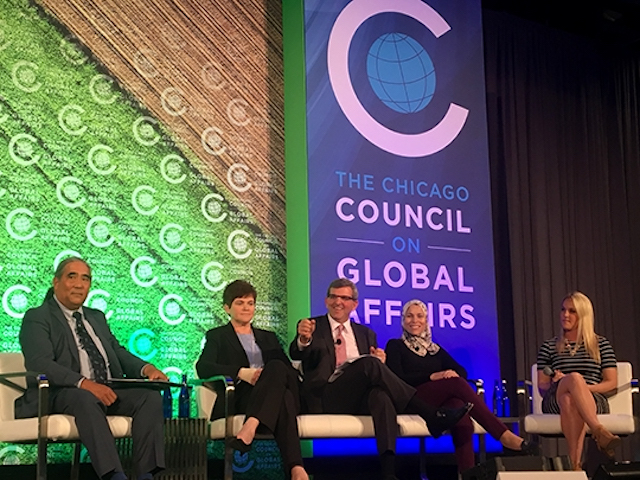 TechnoServe President and CEO William Warshauer discussed how to keep rural youth involved in agriculture on a panel for the Chicago Council's Global Food Security Symposium on March 30, 2017. Creating lasting change in developing communities means creating change for those communities’ young people. They will be the torchbearers of the practices put in place today, and are the future innovators for these nascent economies. Engaging youth in productive activities also has a positive impact beyond the economic sector, as youth employment can positively affect social and political stability around the globe. The professional development of young people is also an opportunity to resolve a different hurdle for development in the modern world: food security. The correlation between empowering youth and ending hunger is rooted in two global population phenomena that were discussed today at the 2017 Chicago Council Global Food Security Symposium. The symposium brought together multidisciplinary stakeholders to discuss strategies for improving agricultural development and ending hunger and malnutrition in the face of a growing population. In many developing countries, the high percentage of young adults in the population limits employment opportunities for youth. Providing youth with the skills to lead agricultural livelihoods simultaneously increases employment and food production. Graphic courtesy of Farming First. In a panel discussing “Farming, Food and the Future of Work,” TechnoServe President and CEO William Warshauer discussed the mutual opportunities for increasing food production and promoting youth employment by keeping rural youth involved in agricultural value chains. 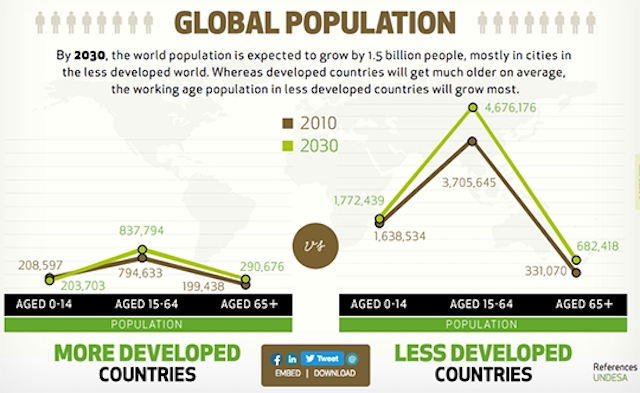 As the world’s population increases and drives up the global demand for food, a demographic phenomenon known as the youth bulge – where a large component of a nation’s population is comprised of children and young adults – is simultaneously affecting the ability of youth to enter the job market in many developing nations. In Africa, over 50 percent of the population is under the age of 18.5, and 19 percent is aged between 15 and 24 years old. Political, social and economic stability depends on employing these young people in productive activities that can lift up community and national economies. With 11 million young people entering Africa’s workforce every year for the next decade, many youth are leaving their rural communities to seek employment in the cities. Rural communities are then left to carry the burden of food production with an aging population – the average farmer in Africa is between 50 and 60 years old. 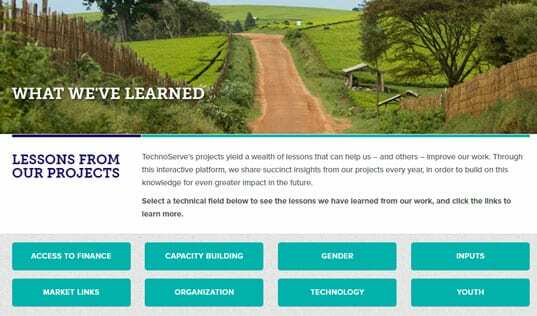 TechnoServe is encouraging young people to step in to feed a growing population while creating prosperous futures for themselves and their communities. Throughout the panel discussion, William drew on TechnoServe’s experience implementing youth-oriented projects around the globe to provide the following insights into how to foster a generation of productive and prosperous young farmers. Arnest Sebbumba, a participant of TechnoServe's Strengthening Rural Youth Development Through Enterprise program in Uganda. During the discussion, William pointed out that the first obstacle to increasing youth participation in agriculture is changing their perception of farming. Most youth had never thought of farming as a business. In East Africa, TechnoServe is training more than 50,000 rural young people on how to identify economic opportunities – both on the farm and off – through the Strengthening Rural Youth Development Through Enterprise program (STRYDE). 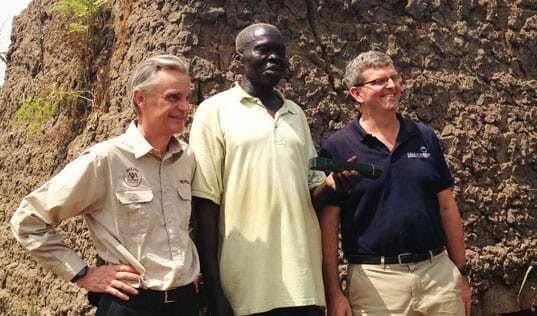 Staff on the ground then work with program participants to build the necessary skills and seize those opportunities. Training not only involves agronomy, but also financial management, and participants are taken to different agricultural businesses in their villages so as to see firsthand that a well-run agricultural business can be profitable, and that farming is a career that they can take pride in. Participants in STRYDE saw incomes increase by an average of 133 percent, and 70 percent now report saving money regularly, as opposed to just 10 percent before the program. With those kinds of profits, young people are more eager to stay in rural communities and invest in a career in agriculture. As William said during the panel, "The best way to make farming more attractive to young people is to make it profitable." Once young farmers see they can run profitable businesses and are provided the skills to do so, they still must overcome many unique barriers, such as a lack of access to land and capital. One of the issues with land is how it transitions within families. It is common for rural youth in their late teens or early 20s to be seeking income, but the pathway to starting a career in agriculture is blocked as all land and profits from their family farms remain in the hands of their parents. William drew from TechnoServe’s experience with the Jovenes Ganan (Youth Win) program in Nicaragua. Through this pilot project, TechnoServe staff successfully worked with dairy farming families on succession plans, encouraging parents to either give their children a portion of the farm to control, or provide them with a share of the income. Another obstacle for young farmers is a familiar one to many youth: themselves. Jovenes Ganan helped participants to build their self-confidence and life skills, such as planning about and around future goals and aspirations. Like STRYDE, Jovenes Ganan also provided important skills that could be used both on and off the farm, teaching participants about entrepreneurship in agriculture. 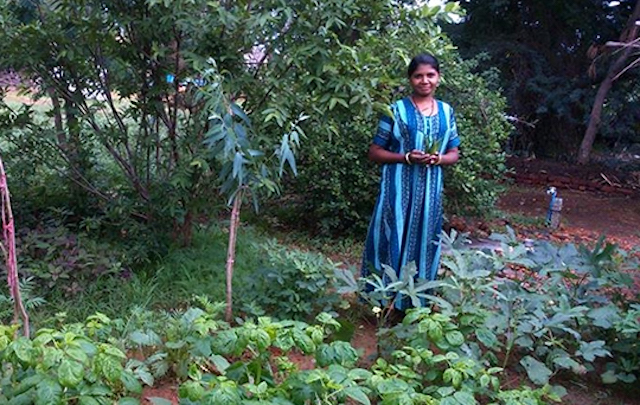 Geetha began production on a vegetable garden after receiving training with TechnoServe in the Davangere district of India. Both STRYDE and Jovenes Ganan train youth in general entrepreneurship skills so that graduates can identify and take advantage of opportunities both on and beyond their farms. 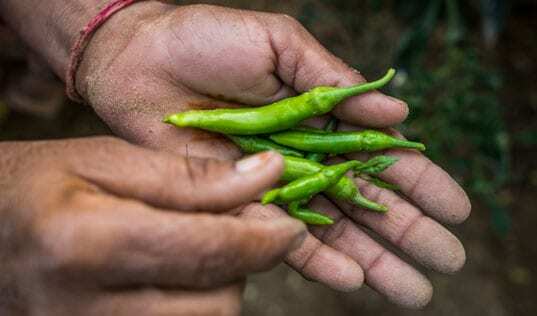 While a main objective of both initiatives is to encourage youth from farming families to carry on and improve their farming businesses, the sustained success of these young farmers depends on creating a community economy around the farms themselves. In India, TechnoServe works with youth in the Davangere district in order to create agriculture-based livelihoods and strengthen the agriculture ecosystem by providing agricultural extension support and assisting young entrepreneurs who provide solutions for local farmers. The program graduated its first cohort October, and while some went on to improve their family farms or start their own dairy, mushroom and flower farms, others chose to work as extension service providers, providing the infrastructure that their farming peers will need to succeed. 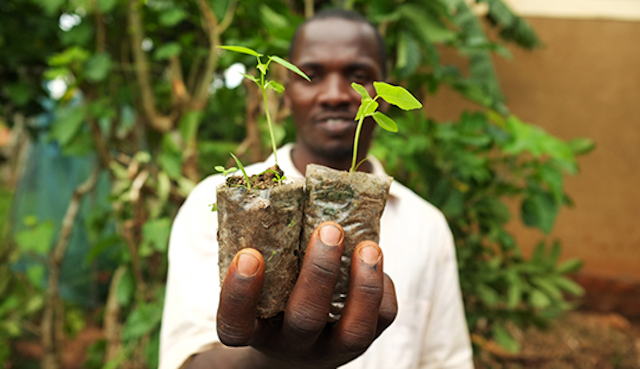 While TechnoServe continues its work on the ground in developing agricultural economies, the global conversation around food security and the next generation of farmers is expanding. Want to know more about the career opportunities available to youth in agriculture? Visit Farming First’s #IamAg campaign page.